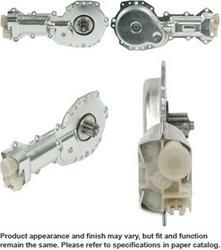 Cardone window lift motors feature all-new parts to give your power windows a lift! Designed with extra torque, these motors are 100 percent load-tested to prevent premature failure from improperly lubricated regulators and worn wiper transmission linkage. Cardone window lift motors are assembled with the proper amount of lubricant for quiet operation and long service life. They also have redesigned gears with stronger, less brittle materials, and their magnets deliver the amount of torque needed to withstand extreme weather conditions. Install superior performance with window lift motors from Cardone--the car parts people. Took a little while to get the old one out, but with all the holes drilled in the right places new one went in easily. Works good too. Great price super fast shipping. Excellent quality. Summit rocks! !